Laurie: Hi, this is Laurie McCabe for SMB Spotlight and today I have the pleasure of speaking with Greg Head. 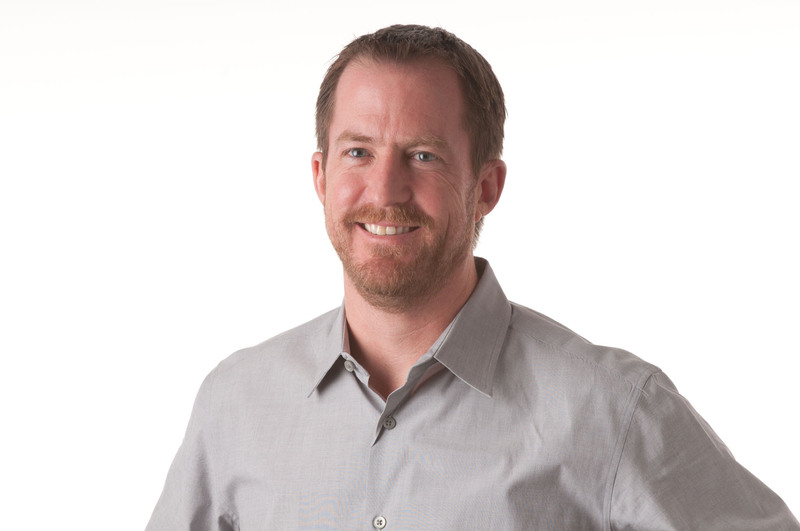 Greg is the CMO, Chief Marketing Officer at Infusionsoft and I’ll be heading out to Infusionsoft’s 2015 ICON conference, which will be in Phoenix from March 31st through April 2nd. So Greg, I know that Infusionsoft and ICON are very, very focused on helping small businesses market themselves more effectively. So for anyone who is not familiar with Infusionsoft if you can just start with providing us with a quick overview about Infusionsoft? Greg: Great, Laurie, I’ll just start at the top. Infusionsoft is the leading sales and marketing software provider for small businesses around the world. We are based in Chandler, Arizona, we’ve been growing for over 12 years and we now have over 25,000 businesses that use our software–to help them get organized in their digital sales and marketing and revenue generation activities, grow their sales and save time. Infusionsoft is exclusively focused on small businesses, primarily owner owned and operated, generally with ewer than 25 employees. Infusionsoft now has over 650 employees and thousands of partners, and hundreds of add-on applications. We appeal to small businesses generate a lot of their revenues through their website or social media pages, who are to keep all that together and automated. So a lot of people call us the Salesforce for small businesses. And that’s really our passion, we think small businesses are the lifeblood of economies around the world, where things start and where things grow, and where a lot of jobs are created. Laurie: Thanks. Now, can you give us a little sneak peak into the ICON 2015 conference? Greg: Well, it’s just an awesome event, really useful and inspiring for small business owners who of course are really practical. Customers come every year, and you know that small business owners don’t regularly go to conferences in other cities. But this is one they do travel for because it’s very valuable to them. We provide inspiring keynotes from world-class small business speakers and experts, on mindset, marketing, growth, you know, how the world is changing, so they can kind of get connected to what’s happening there. They can also learn a lot more about Infusionsoft. There are tracks for beginners and advanced Infusionsoft users and team members can fan out and do that. There’s implementation experts onsite they can sit with to work right on their app and get things done and make a huge amount of progress. There are networking opportunities, partner solutions, and many sales and marketing growth tracks. So supply all of the content, energy, experts, community, and the network of these people to help these small businesses grow. You really can’t get it just by reading blog posts. Laurie: Now what about prospects, do they attend the conference? Greg: Well, it’s primarily for our customers, but we bring in world name speakers and have three days worth of sessions that focus on marketing, not on Infusionsoft. So every year, more potential Infusionsoft customers or partners come to the event. It’s quite economical, and extremely valuable, everything is in one place. So prospects are becoming a bigger contingent at ICON. Laurie: So can you tell me who some of the speakers that you are especially looking forward to at the event and why? Greg: This year we’re focused on speakers that can bring value and are very focused on small business. For instance, Sally Hogshead is a speaker and author and helps people think differently about how to conceptualize the business and make it stronger. She’s got a new book called Fascinate, and is a great speaker. Small business owners of course they’re really busy and in the passion of their business, getting things done and dealing with all of the machinery. So thinking about things differently can shed new light. Laurie: Any others at the top of your list? Greg: Greg Mckeown, who has written a powerful book that addresses one of the key challenges that small business owners have. There’s just too much going on, they can never keep up, they’re so distracted, and it’s really hard to have the life they want, the business success that they want. 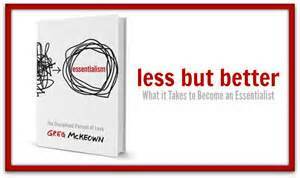 His book, called Essentialism, is about creating focus, not just in the business, but also in your life. So, the speakers focus a lot on the mindset of success. Laurie: Fascination and essentialism, they both sound pretty important! Ok, having attended ICON for a couple of years, I’m wondering if you’re planning any major changes from last year’s ICON? Greg: Well, we’ve got a few more big sponsors with a strong small business focus, including Google, Facebook and AmEx. We’ll have the MSNBC Street Studio as well. The Phoenix Convention Center is large, so there are more networking events for partners and our customers to get connect. And, we’ve expanded our experts’ room, so customers can sit down with them for free advice right on site. Kind of like going to the Apple Genius bar to work right on their app. there’s also the ICON implementation zone, which is new this year. So, we are providing more practical guidance and support so customers can make things happen in their Infusionsoft application right there. So we can fill their brains with great inspiration and new knowledge and ways of thinking, and help them improve the way their Infusionsoft app works at the conference. Laurie: Sounds great and I’m really looking forward to the event and seeing you there! I’m sure a lot of other people are as well. And I want to thank you, Greg, for giving us a sneak preview. Greg: Thanks Laurie. See you in a few weeks.